This course introduces students to the principles of quantitative policy analysis: methods to predict and evaluate the social, economic, and environmental effects of alternative strategies to achieve public objectives. It includes lectures and practical assignments as opportunities for students to apply the methods they learn to real-world case studies. 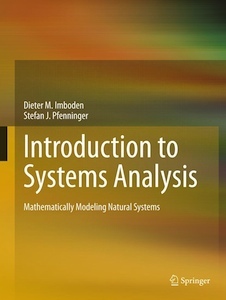 Introduction to Systems Analysis: Mathematically Modeling Natural Systems is an updated English version of an originally German-language textbook on applying simple mathematical models to environmental problems. See www.systems-analysis.org for more info and interactive demonstrations, and github.com/sjpfenninger/modelingbook-web for code.